JEWELLERY VALUATION REPORTS FOR INSURANCE REPLACEMENT, PRIVATE SALE, PROBATE, DIVORCE SETTLEMENT & LOAN SECURITY. OUR VALUATIONS ARE PREPARED FOR YOU EITHER DIRECTLY BY US OR THROUGH YOUR NEAREST PARTICIPATING RETAIL JEWELLER. Padraic Lavin FGA PJ Dip was awarded the (PJDip) Professional Jewellers Diploma with Distinction 1987 and the (FGA) Fellowship of Gemmological Association and Gem Testing Laboratory of Great Britain in 1991 and he has been involved in almost all areas of the jewellery trade, from jewellery repair, design and remodeling to watchmaking, training and education. 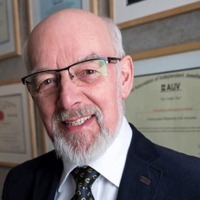 For more than 20 years he has been providing and teaching courses to the Irish jewellery trade on topics such as "Diamonds", "Diamond Grading", "Diamond Identification", "Coloured gemstones", "Gemmology", "Valuations" and "Repair Handling". Padraic Lavin has the unique distinction of being the first and only person to lecture in gemmology at university level in Ireland. He currently lectures on the Science Diploma (Gemmology) at NUI Galway. This course is the first of its kind in Ireland. Padraic is also currently conducting laboratory research as part of a research MSc. at the Fluid Inclusion Laboratory, NUIG, on gem minerals - particularly emeralds - sourced at a new mine location in Brazil. This research will add to the data necessary to further the understanding of the relationship between fluid inclusions and the particular geologic environment where gems form. Jewellery Valuations Ireland is the only professional appraisal and valuation service in Ireland that can bring this unique combination of academic background and trade experience to bear on your special jewellery valuation needs.